Thank you for visiting our page, the hub of what we do here at iBulldogges. This is a day in day out production, it’s everything we can do just to document it and post online. We love talkin Dogges, are committed to the Betterment of our Breed and are always willing to share our knowledge and experience with our #OEBCommunity. We host LIVE Shows on Facebook we call #TheBulldoggeChronicles where we discuss the breed, breeding and all the in’s and out’s of this Lifestyle. Join these Q&A’s where anyone can add to the conversation! (Turn on notifications for me, Gina on Facebook to be notified of showtimes). 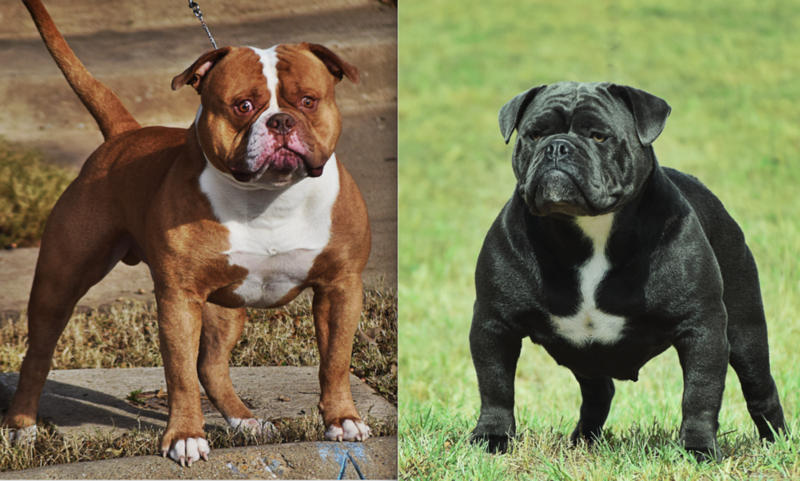 Our OEBs are registered through the American Bully Kennel Club, the most professional registry which allows the OEB to be showcased worldwide. We’ve produced many Champions, Grand Champions and National Winners. We not only raise Show Quality Dogs but aim to produce Living Legends, Monsters that can walk by our side, Guardians of our children and home. Please let us know if we can be of service! What’s One More Project! Spring 2019 we will be selling OEB Merch! We’ll also have new iBulldogge Merch as well as some classics available! With every puppy we hold back for our program, we can evaluate how to proceed. We do not produce “PERFECT” OEB’s, but we have the eye and experience to pursue perfection. Well thats hard to say exactly.. It’s 4am and not having a website for a few months weighs on me. I usually wake up at this time and get on my phone until I can fall back to sleep. Tonight is different. I know we’ve got an incredible and busy season approaching, and let’s face it.. these puppies ain’t gonna sell themselves. You see in order to succeed and strive for the Betterment of our Breed, it’s important to breed. Not to pump out puppies, not to become rich but to produce the next best OEB, keep that puppy or puppies from every litter and breed them to the best. This takes a tremendous amount of time, effort, networking, dinero.. But that’s a whole nother story..
Where did we all begin, can we be real? Chris and I we’re both raised in single mother homes for sometime in our childhood. I can’t say for the majority of the time because we both had amazing step fathers who eventually showed us the light. We were both subjected to heavy circumstances as children, but there was always one constant, our Momma’s loved animals. Speaking for myself, they provided a safe space, unconditional love and trust.. I’m sure it was the same for my husband to some extent, but it’s hard to get in his head sometimes. But yes, from a very young age I’d say we’ve fallen in love with animals, dogs in particular.. Started off ‘friends’ on Facebook and lived half a country apart, met up at a small Texas dog show, and married in Vegas within two months. It is a fairytale, and we both deserve each other. We’ve got incredible love together, a beautiful family and unmatched passion in the Dog Game.